The American is two steps away from equaling the Mararet Court record she missed at Wimbledon after beating Karolina Pliskova. He will face Sevastova. Serena Williams is closer to the gates of glory, a historical record that would elevate her, along with Margaret Court, as the best tennis player of all time without possible discussion. The American has won 6-4 and 6 -3 Karolina Pliskova and will play for the 12th time in the semifinals of the US Open, next to what would be her 24th Grand Slam title, which would equal the absolute record of the legendary and controversial Australian tennis player. This Tuesday has won despite a bad start in which the Czech removed the foundations that support the greatness of the six-time champion of the New York tournament. La player trained these days by Conchita Martinez broke the serve of Serena in the third game, almost he did it again in the fifth and held on until 4-2 against a failed opponent. But after that, the light went out. Serena won four games in a row and with them, the first set. Then she added another four for a brutal 8-0 run and set the second, shorter and easier for Williams. 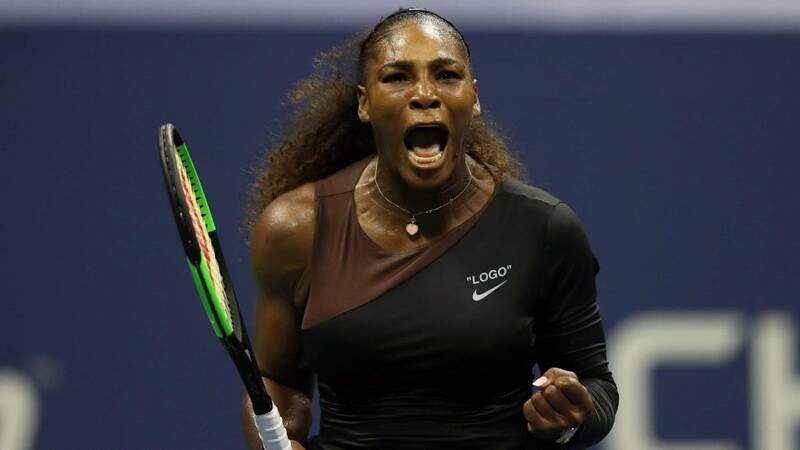 After dispatching 34 winning shots (12 of them serve direct), which counteracted his 30 unforced errors against a Pliskova who did not exploit his good service, Serena will face for a place in the final to Anastasija Sevastova, executioner of another American, Sloane Stephens. "That compare me to Ali or Jordan , it leaves me speechless, especially Ali, because he did a lot for the sport and for the world, my dream is to inspire the people who come to see me ", he said after the game, without hiding the emotion that the support had given him of the public, before adding a declaration of intentions: "I come free because last year I was not here and I have nothing to lose" .